Bulo Barde, Somalia August 23, 2014 (Garowe Online)-Hundreds in Hiraan regional district of Bulo Barde of central Somalia took to the streets to protest against blockade imposed on the newly-liberated town by Al Shabaab fighters, Garowe Online reports. 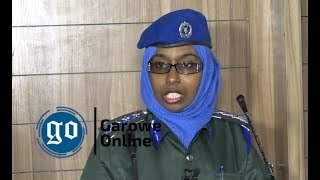 Somali government soldiers were also sighted in the peaceful demonstration according to witnesses. 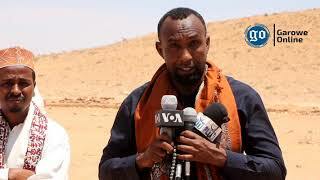 Speaking to reporters, participant at the rally Abdiladif shouted that they are in need of immediate assistance after Al Shabaab denied trucks loaded with basic commodities such as food and medical supplies entry into Bulo Barde. 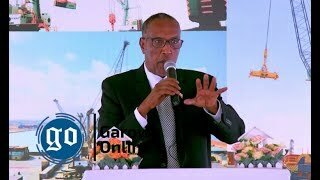 He said local residents and Somali soldiers are the needy while food rations are airlifted for Djiboutian peacekeepers from Mogadishu: “For almost five months, they [AMISOM forces] have been here. They eat, drink and receive necessary supplies by air. 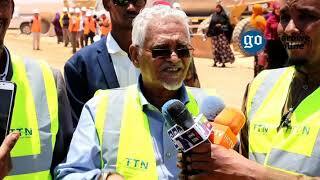 The price of white flour, sugar and rice in sacks has exceeded million and half Somali shilling”. Soldiers complained about unpaid salaries, indicating that they are desperate for immediate response. 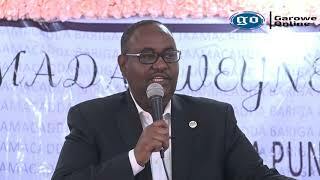 Meanwhile, Federal MPs who have arrived in Beledweyne for drought assessment called on Somalia government to ease Bulo Barde blockade.